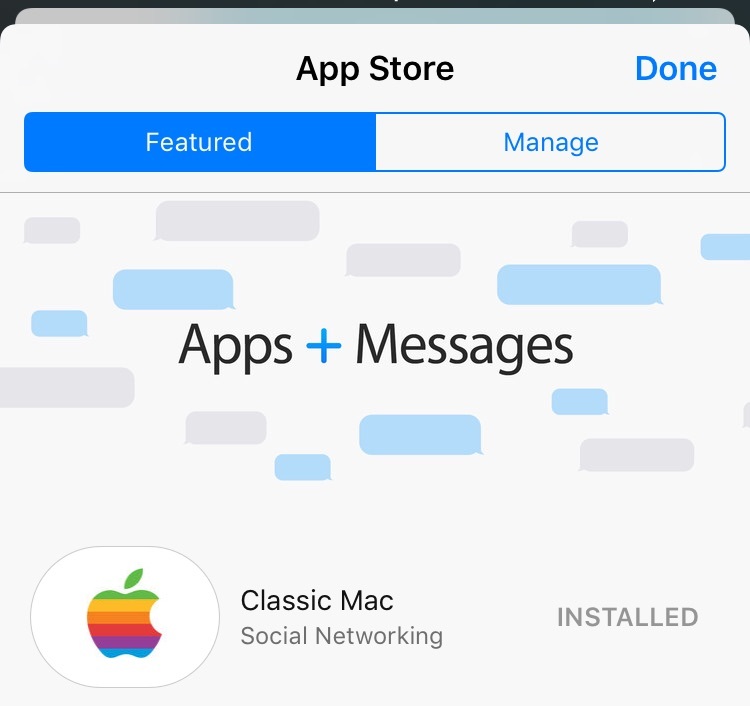 Stickers in iOS 10 can be downloaded from the iMessage App Store, and allow for a larger variety of images than can be supported in emoji alone. 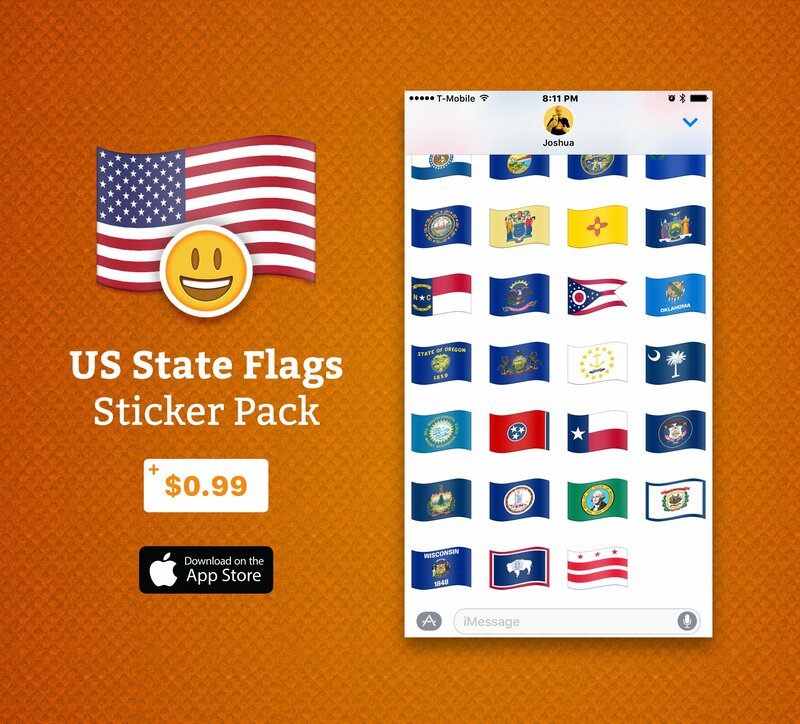 For the patriotic American, this pack includes all the emoji flags you wish were on the official emoji keyboard, but aren't. $0.99 USD. 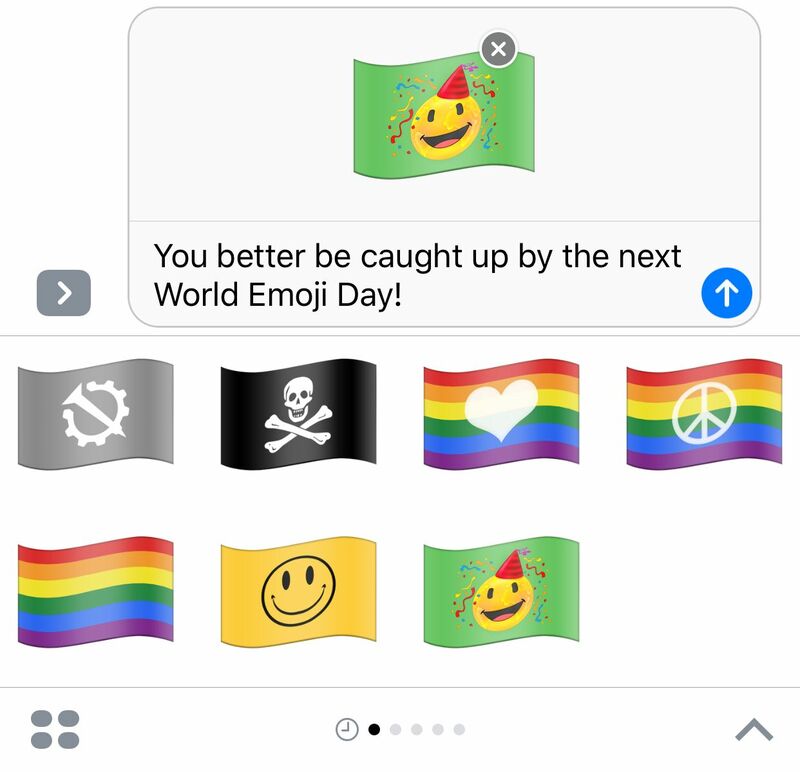 Apple style" of emoji flags, so they fit right into your Messages app. 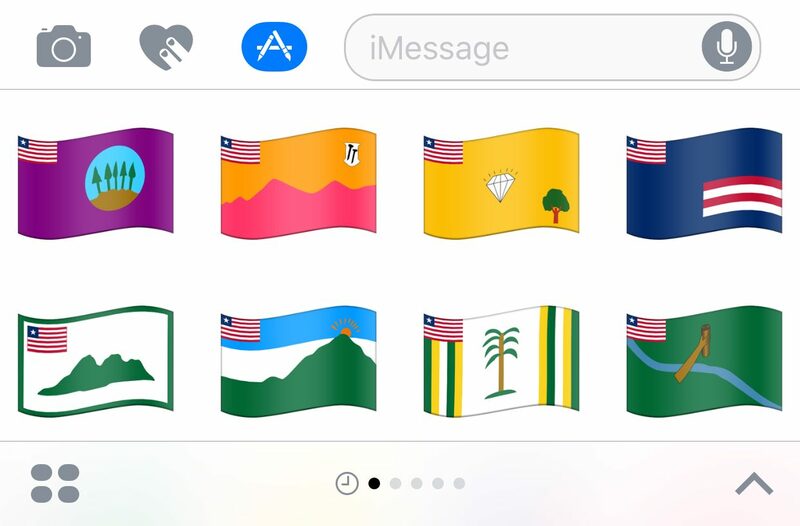 For enthusiasts for the Liberian County Flags and all of their design excellence. Inspired by this conversation between CGP Grey and Brady Haran. Completely free. A collection of fun flags that didn't fit into any other pack! Enjoy Botmoji, our Twitter bot, as well as Globe-moji, the World Emoji Day mascot. Completely free.